Researchers at Illinois Tech have discovered how Chlamydia trachomatis obtains its energy. The discovery solves one of the biggest puzzles in the field and opens up new directions for future research, in particular to design new drugs that can target the Chlamydial metabolism. 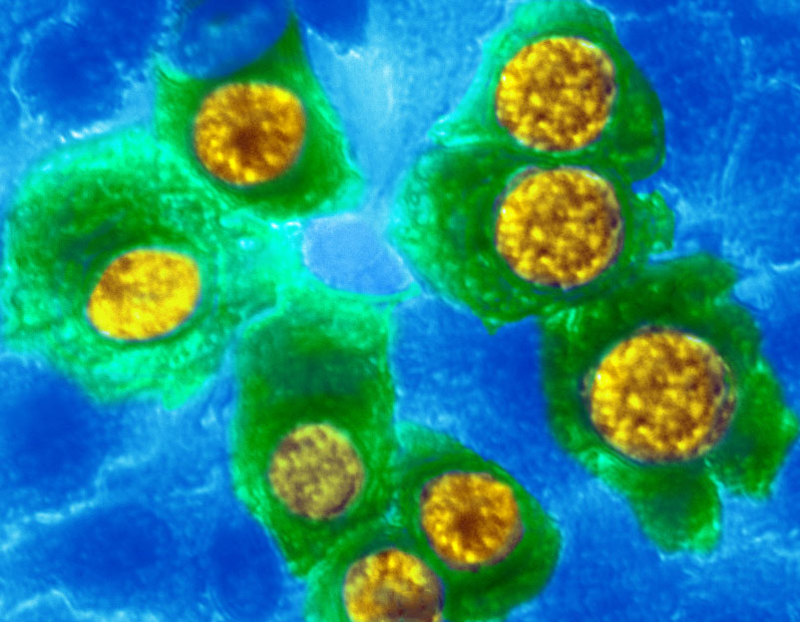 C. trachomatis is the human bacterial pathogen that causes Chlamydia, which affects close to 1.5 billion people worldwide and approximately one in 20 Americans. It is the most prevalent sexually transmitted disease (STD) in the world. For over 60 years, C. trachomatis was considered an “energy parasite” that relied entirely on the human host cell to obtain the energy and nutrients required for growth. However, Oscar Juarez, assistant professor of biology, and Karina Tuz, research assistant professor of biology, and the Juarez research group at Illinois Tech have found that C. trachomatis can produce its own energy through completely novel biochemical pathways. Chlamydia is a big concern for human health as it has the ability to infect many organs, including the eyes—it is the world-leading cause of preventable blindness—and the genital tract, producing infertility, ectopic pregnancy, and even death. C. trachomatis is an intracellular parasite whose lifecycle takes place entirely inside of human cells, which greatly complicates the study of this bacteria. 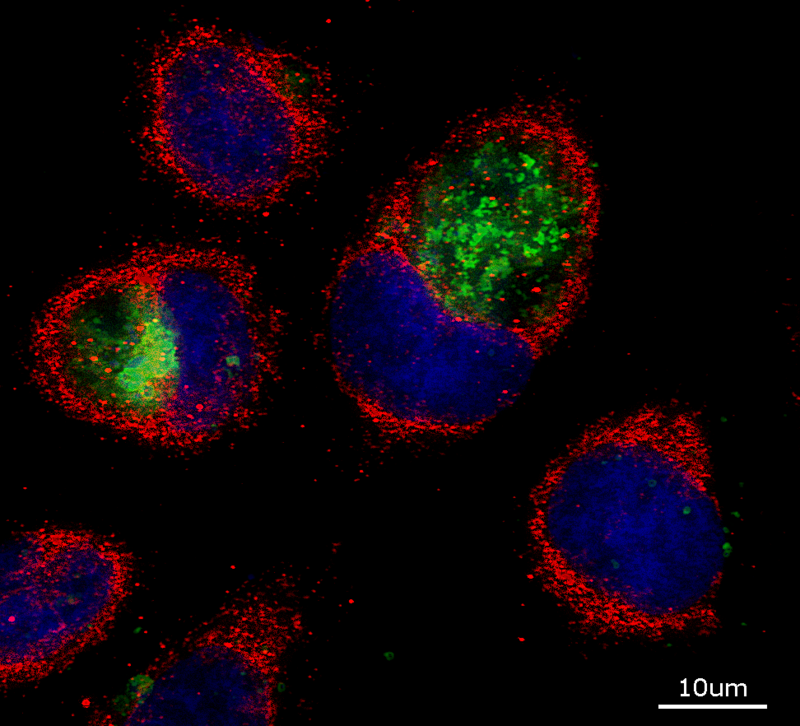 Using cutting-edge noninvasive technologies including fluorescence microscopy and metabolic measurements in living human cells, the Juarez group detected the metabolism of C. trachomatis in the human host cell. They also demonstrated that C. trachomatis has a dynamic relationship with the host cell, using the energy from the host at early stages—allowing a quick infection of the human body—and then switching to its own independent energy metabolism. This finding also opens the door to use drugs against the human metabolic enzymes to aggressively treat the early infection. 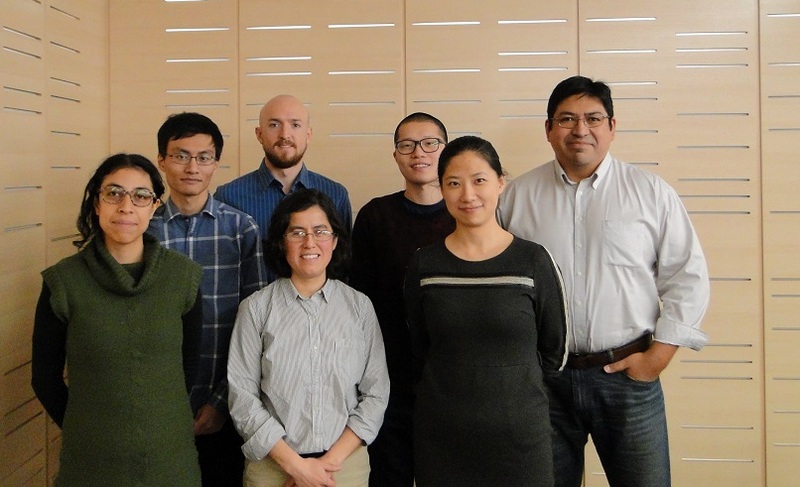 The group’s findings will be published in the January issue of the prestigious Journal of Biological Chemistry. Fluorescent microscopy pictures of human cells infected with Chlamydia.